Read Part 5 or view Index to start at the beginning. Hermann Wilhelm Brandt, known as Bill, was born in Germany just after the turn of the twentieth century. Brandt is widely considered one of the most important British photographers of the 20th century, having made his photographic bones by documenting all levels of British society. In so doing, he followed a familiar path: having a distinct, powerful photographic style, and emphasizing a single aspect of photography – here, showing British society from its poor to the most wealthy. Like others before him, he took “Street” out of the street and into the places where people lived. Brandt was the son of a British father and a German mother and grew up during the tumult of World War I. After his father was interred by the Germans during the war for being British, Brandt disavowed his German ancestry and claimed to be from South London. Like many accomplished artists before him, he had a youth wracked with misadventure, perhaps searing within him his artistic sensibility. At around age 14, he contracted tuberculosis, and spend much of his time in a sanatorium in Switzerland. Eventually, he was taken in by socialite Eugenie Schwarzwald, and when Ezra Pound visited the Schwarzwald residence, Brandt made his portrait. Pound reputedly offered Brandt an introduction to Man Ray, whose Paris studio and darkroom Brandt would access in 1930. Three years later, at age 29, Brandt moved to London and began his career documenting British society. In the late 1930s, working as a photojournalist for Picture Post, Brandt photographed the industrial cities and coal-mining districts of northern England, documenting the lives of England’s industrial workers. Bill Brandt, “Parlourmaid and Under-parlourmaid Ready to Serve Dinner,” 1938 Note the stark contrast between the maids’ almost militaristic poses and the opulent table, as emphasized by the high-contrast photo. Brandt, “Childen in Sheffield.” The children are cute, but filthy, and photo’s gritty contrast make it look dirty too. 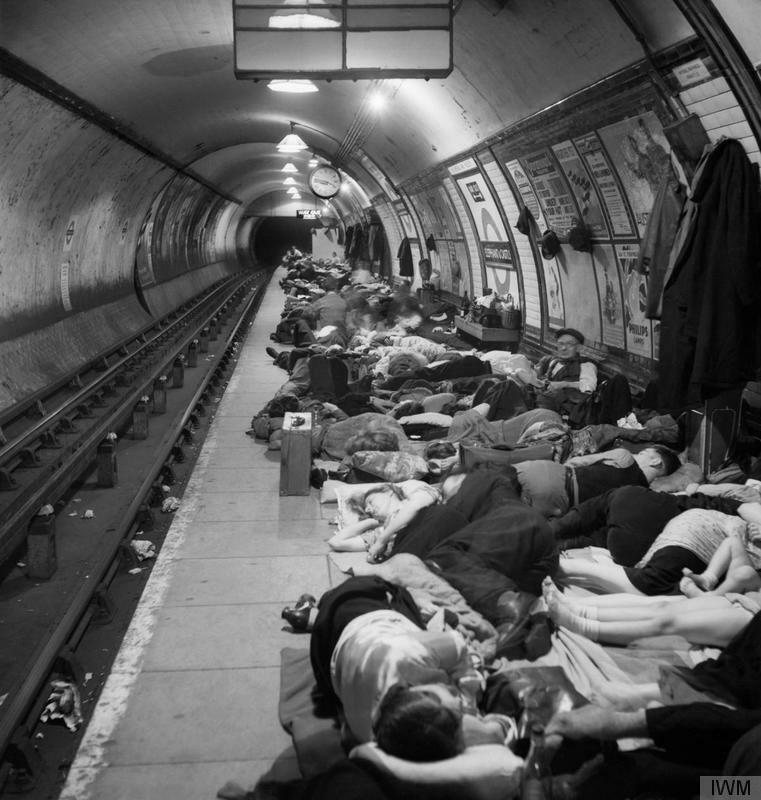 During WW II, Brandt became a staff photographer for the British Home Office, capturing Londoners crowded into air-raid shelters in the city’s underground train stations. After the war Brandt photographed a series of landscapes associated with English literature, published as Literary Britain (1951). His work in the 1950s became increasingly expressionistic, culminating in his best-known collection, Perspective of Nudes (1961). As should be obvious in the sampling of photos shown, Brandt used light and contrast to boost the emotional content of his photos and to emphasize his message. Look at Brandt’s use of light and contrast in the two photos below. Both feature a husband, wife, and single child, but the subtle message is profoundly different. This family is prosperous. They have food, and the light is boosted on the table, showing their relative opulence. Contrast this with the poor family, who have neither sufficient food nor light. 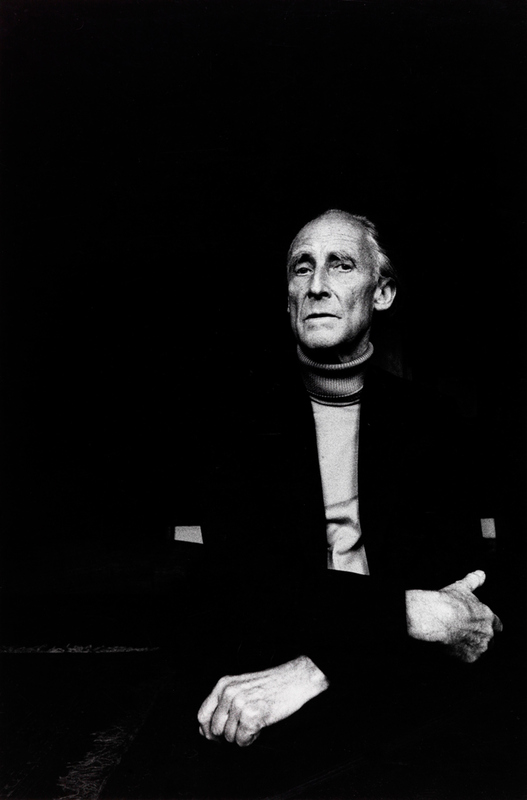 For more on Brandt, see “The Social Legacy of Bill Brandt (2000). 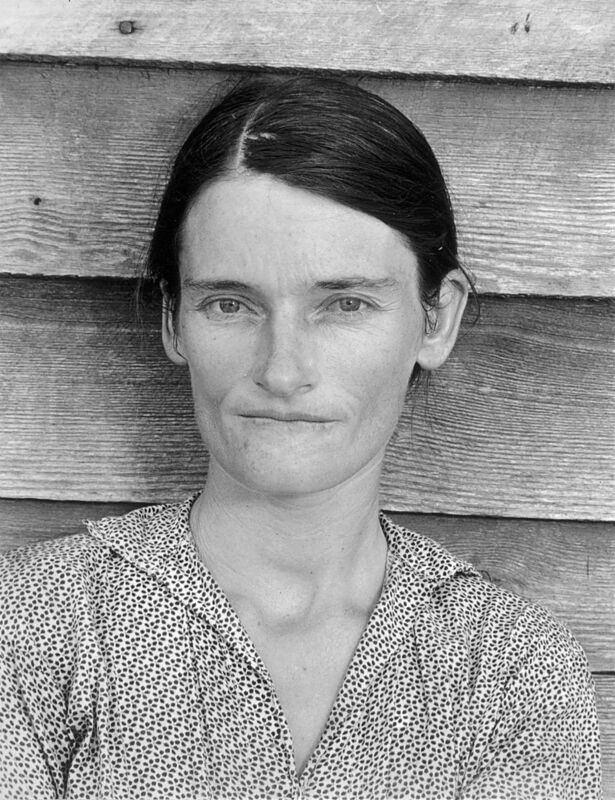 Walker Evans was an American photographer best known for his Farm Security Administration (FSA) photos documenting the Great Depression. Evans produced most of his work using a large 8×10-inch camera, stating he intended to produce works that were “literate, authoritative, transcendent.” He was indeed a transcendent figure, with his work having great influence through the second-half of the twentieth century. Evans, according to the Encyclopædia Britannica, “rejected the prevailing highly aestheticized view of artistic photography, of which Alfred Stieglitz was the most visible proponent, and constructed instead an artistic strategy based on the poetic resonance of common but exemplary facts, clearly described.” In short, whereas Stieglitz brought artistry to photography, Evans showed the common threads of life. 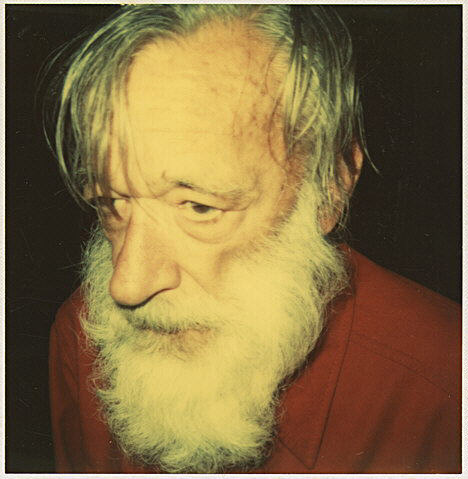 He was Ernest Hemingway to Stieglitz’s James Joyce, eschewing the erudite photographic language of misty streets for the vernacular of “roadside stands, cheap cafés (1971.646.35), advertisements (1987.1100.59), simple bedrooms, and small-town main streets. 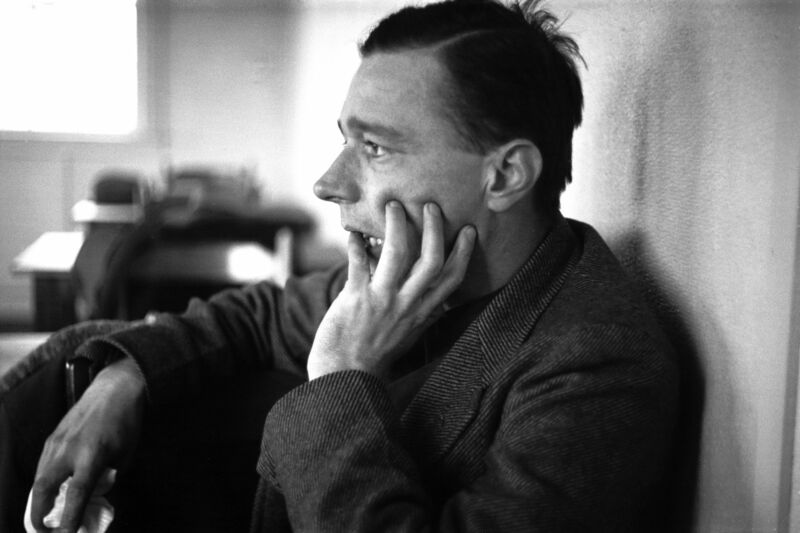 For fifty years, from the late 1920s to the early 1970s, Evans recorded the American scene with the nuance of a poet and the precision of a surgeon, creating an encyclopedic visual catalogue of modern America in the making.” (Heilbrunn Timeline of Art History, “Walker Evans). Evans, Subway Passengers, 1938, from a series that went unpublished for 25 years. Evans spent most of his childhood in the Chicago suburb of Kenilworth, experimenting with painting and collecting picture postcards before taking up snapshots of family and friends with his small Kodak. After a year of college, he dropped out and move to New York City, finding work in bookstores and the NY Public Library. (He was, coincidentally, a fan of Joyce’s work.) He spent a year in Paris, and in 1926, returned to NYC determined to be a writer. However, he also took up the camera, and to our benefit, poured much of his artistry into photography. Influenced by Atget and August Sander, Evans worked for the Resettlement Administration and the FSA in the mid-1930s, with his first exhibition held in 1938. He later became a staff writer at Time magazine, and contributed more than 400 photos and 45 articles to Fortune magazine. He continued to shoot until his death, ending his career shooting frames using a Polaroid SX-70 camera, experimenting until the end. In truth, of all the photographers documented in this series to date, Evans is the author’s favorite, if only because we share an artistic (except for his disdain for color) and subject-matter bent. Truly, even in ignorance, modern street shooters tread in familiar shoes, and Evans left some large shoes to fill. Álvarez Bravo, born in Mexico City, is arguably the most important figure in Latin American photography. He left school at age twelve to help support the family after his father’s death, taking jobs at a textile family, and later, the National General Treasury. 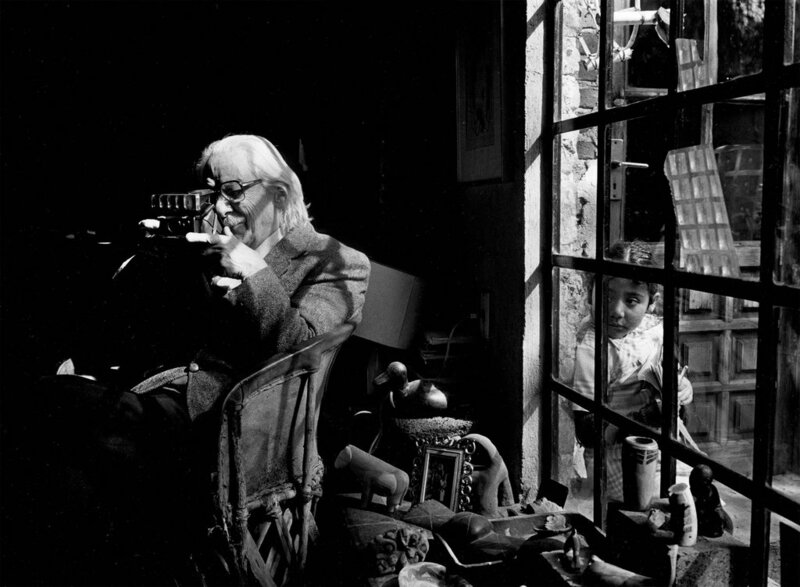 Although his father and grandfather were amateur photographers, Álvarez Bravo was self-taught, with a career spanning the 1920s to the 1990s. His peak was between the 1920s and 1950s, capturing life both ironic and surrealistic ways. He’d studied painting at the Academy of San Carlos, embracing pictorialism. However, he would late become influenced by cubism and abstraction, picking up similar elemental influences as contemporary Frida Kahlo. Álvarez Bravo took up documentary photography in 1930, and worked in the film industry from 1943 to 1959, taking stills and moving toward experimental photography. Staged photo by Álvarez Bravo, which was subsequently rejected by Mexican censors. During his lifetime, he held over 150 individual and joined in over 200 collective exhibitions. His work reflects what is considered to be a Mexican Renaissance, leaving a legacy as a “poet of the lens” during his 100 years of life. His primary primary subjects were nudes, folk art, and rituals, especially burials and decorations, shop windows, urban streets and everyday interactions, the latter categories of which get him included in our illustrious grouping. Álvarez Bravo continued to work until he could no longer travel, continuing to shoot nudes in his late 90s — good work, if you can get it. 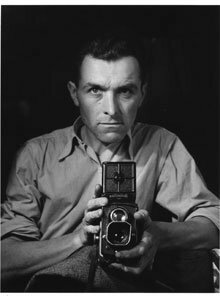 Robert Doisneau (ro-BEAR dwa-NO) was a French photographer famous for his shots of Paris streets, beginning in the 1930s, with his Leica. He is ranked with other French icons such as Henri Cartier-Bresson, Izis Bidermanas (who was actually Lithuanian), and Willy Ronis. As much as his style, which featured rich blacks and pristine whites without his resorting to the over-contrasted style of some of his peers, Doisneau was known for featuring amusing juxtapositions and ordinary people doing extraordinary things in otherwise mundane locations. Like Bresson, he wasn’t beyond staging a photo if something caught his eye and he’d missed the original opportunity. In fact, his best-known image, taken in 1950, Le baiser de l’hôtel de ville (Kiss by the Town Hall), a photograph of a couple kissing in the streets of Paris was such an image. Doisneau took up amateur photography at age 16, but began work as a draftsman in a graphics studio in the late 1920s. He used the opportunity to move to becoming a camera assistant, and then a staff photographer. By the mid-1930s he was doing advertising photography with Renault, which helped him overcome his shyness regarding working with people. In 1939, he was hired by Charles Rado’s agency and began traveling throughout France doing street work. 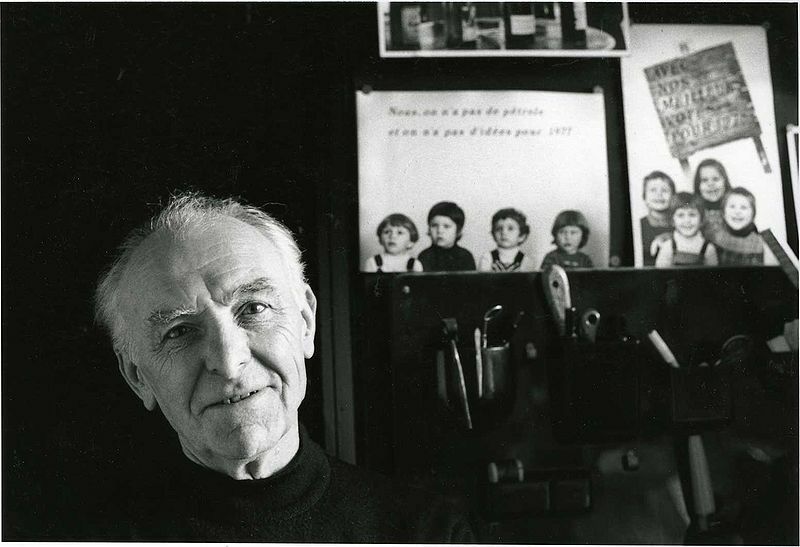 Doisneau worked as a war photographer when WWII broke out, and when it ended, he turned to freelance, honing his distinctive style. By his own admission, his street work wasn’t meant to be “documentary” nor art, per se. Instead, he used his tool, as he stated, not to “photograph life as it is, but life as I would like it to be.” His career peaked in the ‘50s, as social changes in the ‘60s and ‘70s brought demands for those showing the changing Europe. Doisneau’s time had passed. What should be was no longer in vogue. Instead, the world was demanding to see life in its true, gritty form. The Transitional epoch had ended, and it was time for the Rule Makers to redefine Street Photography in their image. really enjoyed part 6 – esp. 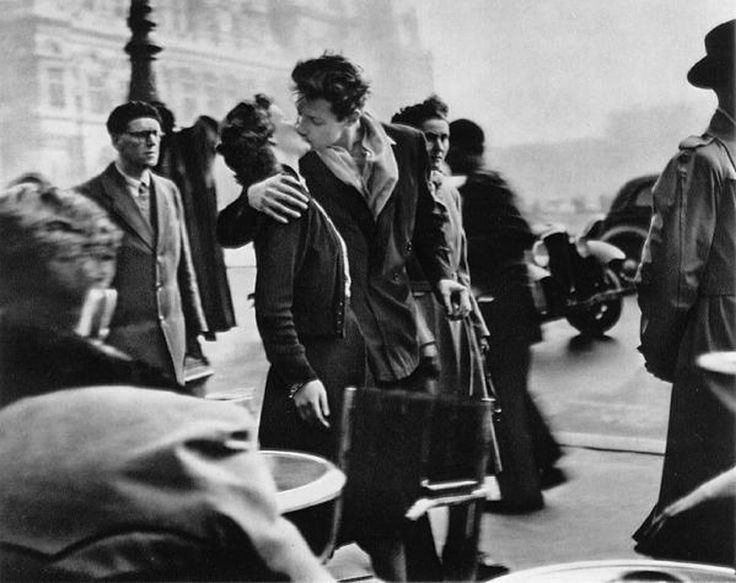 enjoyed learning about Doisneau…. Thanks, Yvette. I’m glad you enjoyed it, and thanks for the feedback. I was just discussing abandoning the series with Maria last night, because no one seems particularly interested. It’s good to find out at least someone’s reading them. well I still have to go back and explore – but it looks like you have a nice little ebook here with all this stuff – just an idea – but those “ninety nine cent books” have really been a good fit for some folks. also, keep in mind that sometimes resources like this will get overlooked and it has nothing to do with quality. I am still chewing on some of my thoughts on blogging (now in my second year officially) but the biggest thing that blows me away is the rich content to be found from seasoned bloggers in different areas – and whew – the plethora of knowledge that is shared is beautiful – and I think much of society is not aware of this – and well – many times it takes some digging to find the gems – but even in health and nutrition – I have gleaned some major stuff and I am forever grateful. anyhow, with your series – I am not sure what you original goals were – but as I am sure you know from years of life – many projects unfold with their own life – and if it is not turning out the way you expected – don;t force it – maybe draw boundaries and set one of two more and then leave them static as a resource – or make your e-book and begin a collection that way. I heard one artist did this – just kept doing her thing and one day people looked at her back work and she was hired for a special job because of her varied portfolio – and so if nothing else – keep in mind that you are expanding your portfolio as you celebrate an area you love and are good at exploring…. That’s a good point, and one Maria reminds me of. We’re at the least going to leave this as a static resource. I’ve done a few with writing, and get hits every day on writers and grammar. I’d love to write a book on this subject, but they tend to go out of print. My belief is photographers want to just look at the cool photos without understanding what the artist meant, why he did what he did or how. I guess I should really refocus on doing this for myself, which is enough. I’ll just go slower in that case. yeah – and not all just want to look and not grow and develop – but most– and I was watching something last week and folks were talking about how something really needs a bump or needs to go viral to really get exposure – because as we know – many times it takes timing and luck to get exposure for good quality stuff. I am so sorry that I haven’t told you how much I am enjoying this series. It is wonderful! You and Maria are doing a fantastic job. Carissa, thanks for taking the time to follow it and for the feedback. We really appreciate it.